The Department established in 2008 with strength of 60 students now it has intake of 120 students, and it has qualified, young and dynamic teaching staff, many with specializations in various streams of this field of engineering, and also from reputed institutions. The faculty members, supported by well-trained laboratory staff and technicians cater to the need for the over-all development of students in academics as well as in other technical activities. Apart from the regular subjects of the course, the department also conducts wide range of seminars & workshops, which benefits the students in pursuing their field of interest so as to specialize and concentrate more on fields relevant to their project, Such as Subjects like Optical Fiber Communication, Embedded Systems, Robotics, Satellite Communication, and HDL programming etc. Notwithstanding the above, the department always looks for creative and technologically advanced skill transfer to the students through collaboration, guidance and counseling in the department. The department started admission into M.Tech. in Electronics and Telecommunication Engineering from 2014 session on wards with 18 intake capacity. This makes another feather to the department. Department has also established IETE Students’ forum for enhancing the technical skills among the students in the field of advanced areas in recent development. The department is having One Computer Lab and Six Labs with state of art technologies. Each lab is taken care by experienced Faculty member and Lab assistants. Electronics and Telecommunication Engineering Department of VITAM offers B.Tech in 'Electronics and Telecommunication Engineering' and M.Tech in 'Electronics and Telecommunication Engineering'. Both, the Under Graduate (B.Tech) and the Post Graduate (M.Tech) courses are affiliated to Biju Patnaik University of Technology (BPUT), Odisha, and is approved by AICTE. This laboratory course builds on the lecture course "Signal Processing" which is mandatory for all students of electronics and electrical engineering. The course aims at practical experience with the simulation and development of basic signal processing algorithms, using standardized environments such as MATLAB and general-purpose DSP development kits. Experiments cover fundamental concepts of digital signal processing like sampling and aliasing, quantization in A/D conversion and in internal arithmetic operations, digital filter design and implementation, signal generation, spectrum estimation and fast transforms, sampling-rate conversion and multi-rate processing. Application experiments address a selection of multi-media and digital communications problems where visual and auditory feedback is used to demonstrate the desired effects and artifacts of digital processing. 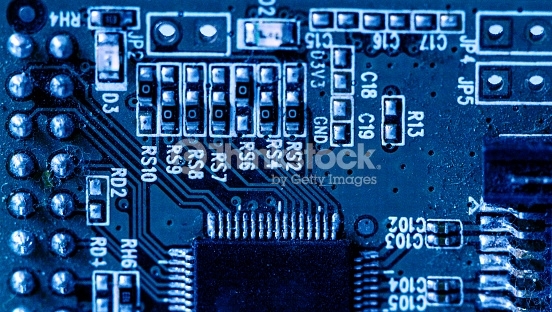 Very-large-scale integration (VLSI) is the process of creating an integrated circuit (IC) by combining thousands of transistors into a single chip. It provides analog, digital, mixed-mode and radiation tolerant design capabilities devoted to the development of full-custom Application-Specific Integrated Circuits (ASICs). The design flow is carried out with extensive use of XILINX – 14.2i tools. In particular, the VLSI lab offers a large collection of professional electronic design automation (EDA) software licensed by INFN for analog, mixed-mode and digital IC design. Digital design activities range from the concept of the overall control logic for the analog part to high-level digital signal processing, data acquisition and fast and high-rate off-chip data transmission using SPARTAN – 3E kits. This lab has been established to give idea to the students about the configuration and simulation of Very Large Scale Integrated Circuits & Systems. Basic Objectives of this lab to explore various design style of simple and complex Integrated Circuits(IC) to students. All kind of signals we deal with in nature are analog. Analog Communication is an essential part of modern day technology. The course provides comprehensive, hands-on instruction in the terminology, principles, and applications of the analog communication circuits. Analog systems have been dominant over the last century. However, over the last two decades digital communications have become prominent because of the increase in performance it provides. Digital systems allow for increased data transmission and more resistance to noise. It includes the experiments of data transmission using ISDN trainer, Satellite communication trainer, CDMA mobile communication trainer etc. This is Communication System Laboratory in which the students get to study the latest advances in communication like optical communication and wireless communication. In optical fiber communication technique we study how to transmit information from one place to another through optical fiber using the principle of total internal reflection and minimizing the losses and defying the electromagnetic interference. Here the practical’s are conducted with RADAR , study of transmitting signals using different antennas, working principle of Television. The microwave laboratory experience is to learn how to use microwave test equipment to make measurements of power, frequency, S parameters, SWR, return loss, and insertion loss. We are fortunate to have very well-equipped equipments like GUNN Diode, Klystron test bench in our microwave laboratory. Here we briefly describe the most important pieces of test equipment that will be used in the laboratory experiments. Practical classes are devoted to the design and implementation and written and oral presentation of a project in an environment similar to that of engineering design teams in industry. Engineers from local engineering companies come to campus to help students with their design projects. Eminent professionals from industries and institutes visit to our campus for helping our students on different fields of project works. VITAM believes in all round development. With this motto, Department of Electronics and Telecommunication Engineering is actively participating in events related to Social Causes, Cultural Activities and Sports. The students of the department, with help and association from faculties, had formed a club which voluntarily works for social welfare and helping the deprived. The department has tradition to organize inter-departmental as well as institute level cultural activities. Students of this department has bagged several prizes in sports. Even, Electronics and Telecommunication Engineering Department has won the VITAM Cricket Championship Trophy. Students of this department had also brought many laurels from other Institutes.